Turkey and its rebel allies opened a new line of attack in northern Syria on Saturday, as Turkish tanks rolled across the border and Syrian fighters swept in from the west to take villages held by the Islamic State militant group (ISIS). 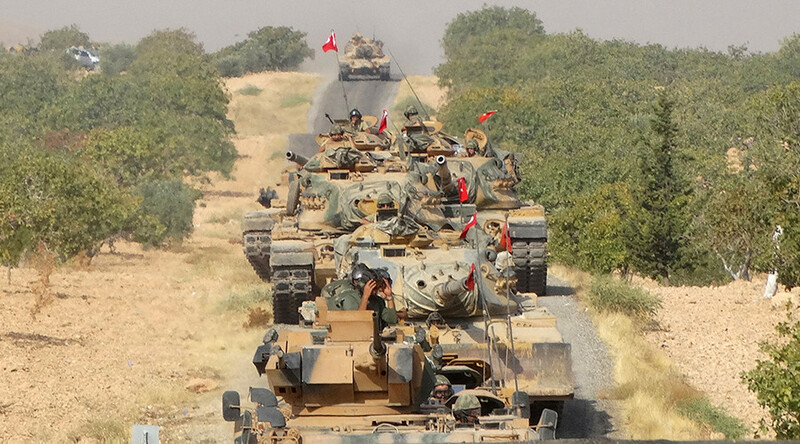 The incursion was launched by Turkey from Kilis province—an area frequently targeted by ISIS rockets—and coincided with a separate push by the Turkish-backed Syrian rebels, who seized several villages further to the east. By supporting the rebels, mainly Arabs and Turkmen fighting under the loose banner of the Free Syrian Army, Turkey is hoping to drive out ISIS militants and check the advance of U.S.-backed Syrian Kurdish fighters. The rebels last week took the frontier town of Jarablus with Turkish support. The operation, called Euphrates Shield, is Ankara’s first full-scale Syrian incursion since the start of the five-year-old war. On Saturday the tanks crossed the frontier and entered the Syrian rebel-controlled town of al-Rai to support the new offensive, a rebel spokesman and monitors said. Al-Rai is about 55 km (34 miles) west of Jarablus, and part of a 90-km corridor near the Turkish border that Ankara says it is clearing of jihadists and protecting from Kurdish militia expansion. The rebels then seized villages to the east and the south of al-Rai, according to one rebel official. 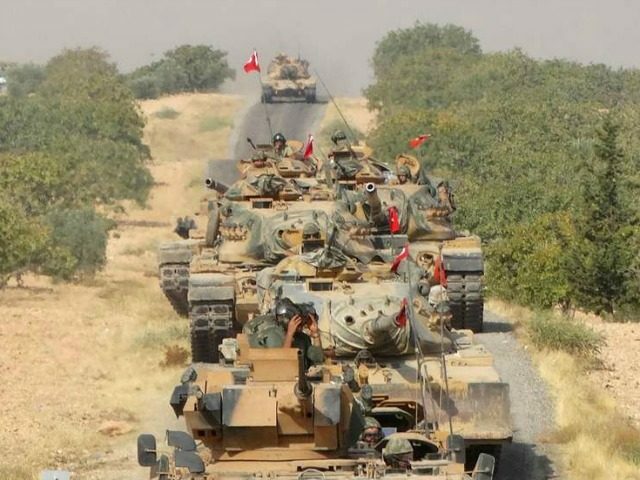 The Turkish-backed operation was putting pressure on ISIS from both east and west of a stretch of territory it controls along the border between the towns. “The operations are to work from al-Rai towards the villages that were liberated to the west of Jarablus,” Colonel Ahmed Osman of the Sultan Murad rebel group told Reuters. The Hamza Brigade, also part of the Free Syrian Army, said it had taken control of Arab Ezza, a village about 30 km west of Jarablus and near where Turkish warplanes carried out air strikes on Friday. FSA factions had also captured the villages of Fursan, Lilawa, Kino and Najma just south of Arab Ezza, according to a source in another rebel group, the Failaq al-Sham. The United States said it hit ISIS targets in the region overnight, although it did not say where. “U.S. forces struck ISIL targets near Turkey’s border in Syria last night via newly deployed HIMARS system,” Brett McGurk, the special presidential envoy for the coalition fighting ISIS, said on his Twitter account. HIMARS refers to a High Mobility Artillery Rocket System. Turkey has struggled to protect the area around Kilis from ISIS rocket fire. Three rockets fired from northern Syria hit the region on Saturday, Dogan news agency reported, adding there were no casualties. Turkey’s pro-government Daily Sabah newspaper said Turkish air strikes in support of the rebels continued on Saturday. While Euphrates Shield initially targeted ISIS in Jarablus, most of the focus since has been on checking the advance of U.S.-backed Syrian Kurdish fighters, to the alarm of NATO ally Washington. Turkey disagrees with its ally’s support for the Syrian Kurdish YPG militia, which it considers a terrorist group. The YPG has been among the most effective partners on the ground in the U.S.-led fight against ISIS. Turkey is worried that advances by Syrian Kurdish fighters will embolden Kurdish militants in its southeast, where it has been fighting an insurgency for three decades led by the outlawed Kurdistan Workers Party (PKK). In China, to attend the G20 meeting of world leaders, President Tayyip Erdogan said there should be no support for any terrorist organization—a reference to the United States’ backing of the Syrian Kurdish fighters. “There is no good terrorist. All terrorists are bad. All organizations involved in terrorism are cursed. This is how we see things and how we put up our struggle,” he said, according to a transcript of an interview with China’s CCTV released by Erdogan’s office. The United States has voiced concerns about Turkish strikes on Kurdish-aligned groups that Washington supports. Germany said it did not want to see a lasting Turkish presence in an already tangled conflict. Turkey has said it has no plans to stay in Syria and simply aims to protect its frontier from the militant group and the Kurdish YPG militia. Turkish security forces used tear gas and water cannon to disperse protesters along the border on Friday. The demonstrators were protesting against Turkey building a concrete wall on the border with Syria.